With new Canadian rules on cannabis legalization just around the corner, money is pouring into an increasingly complex marijuana sector. Is it a sound investment or market euphoria? Investors study ways to buy into pot as rules change. But is it real or market euphoria? Jamie Dutra has just finished unlocking the doors and rolling back the security screens at The Dragon, a shop in Toronto's Bloor West Village that is part of a Canadian investment trend. Only five minutes after opening time, there are two customers and a reporter in the small shop. Dutra is ringing up $18 worth of rolling papers and other things she describes as "accessories for legal smoking mixtures." 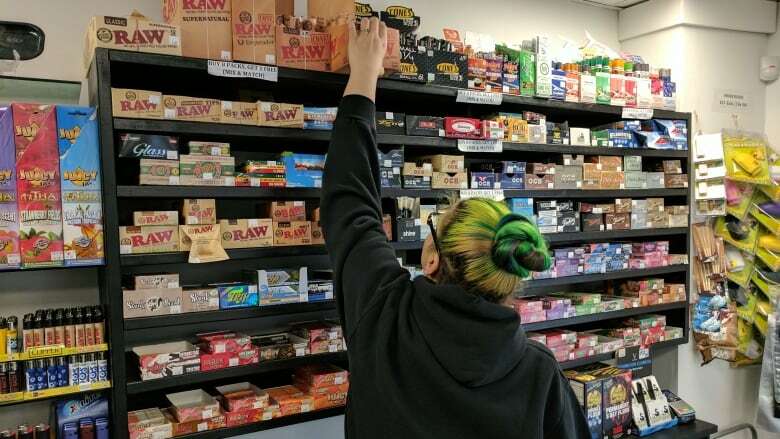 Despite the fact that medical marijuana is legal and the federal government is about to lift the prohibition on recreational pot, laws from an earlier era prevent sellers from calling their goods drug paraphernalia, she says. Of course it's a legalistic fiction. The sign outside shows bright green leaves of Cannabis sativa, and a time traveller from the 1960s would immediately recognize it as what used to be called a head shop. "Oh yeah, for sure," says Dutra. At first glance the location seems unlikely, in the middle of an older residential neighbourhood where 100-year-old brick homes commonly sell for more than a million dollars. "We had some concerned parents in," says Dutra. They were worried that the shop was one of the city's many storefront cannabis shops, she says. The Dragon has expanded from its original outlet in North York to three locations around the city, in this spot replacing a fruit and vegetable stand about nine months ago. Dutra says business was slow at first, but now during the busy period in the late afternoon, there is almost too much business for a single employee. Some of the shoppers are local residents, but the shop's location, visible from the Jane subway station, helps draw in customers. 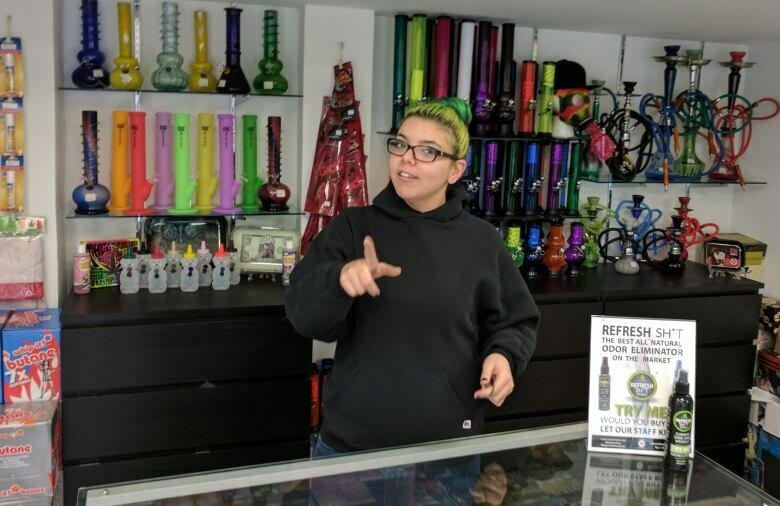 As to whether the shop will begin selling pot if the new laws permit, Dutra is careful. "That depends," is all she'll say, offering an email address for the chain's owner. "For now everyone's sort of walking on eggshells," says Marc Lustig, CEO of Ottawa-based marijuana investment company CannaRoyalty. 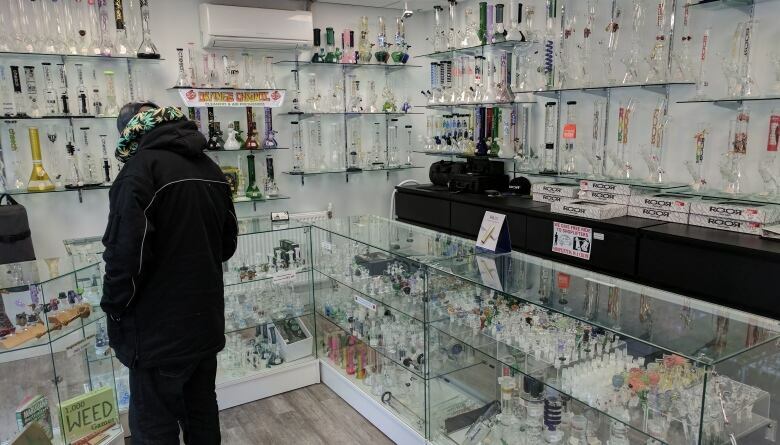 Products in what used to be called a head shop, but experts say the number of ways of consuming marijuana is about to explode, with many of the innovations having nothing to do with smoke. Until the federal government reveals the details of its new pot rules and the new U.S. administration decides whether it will take a soft or hard line on marijuana-related businesses currently legal under state laws, investors remain nervous. And while Lustig is confident the sector is due for explosive growth, he thinks people investing in growing pot for sale to pot smokers are not going to be the big winners. "I see the future of the cannabis sector much more around the new products that are going to come," says Lustig, who listed his company six weeks ago. "Smoking has gone the way of the dodo bird." 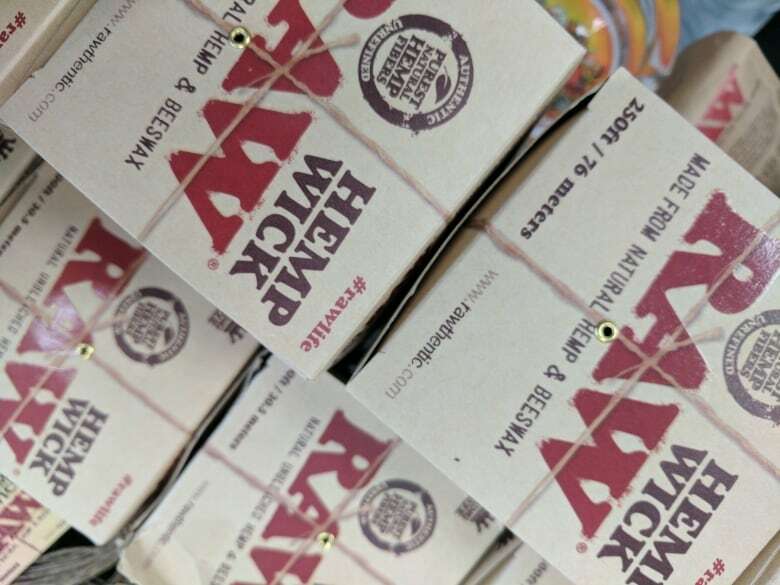 Lustig says that legal cannabis producers, businesses that until recently seemed so exotic, are competing to grow the same relatively undifferentiated commodity. "The Canadian marketplace is dominated by, now, 20 different public companies that are all licensed producers," says Lustig. "But their business model is one-dimensional: I build a greenhouse, I produce bud and I hope to sell that bud." He may be overstating the case. Canopy Growth, leader in a large group of Canadian pot-related firms and valued at more than $1 billion — 10 times the capitalization of Lustig's company — has diverse research interests. But Lustig's point is a good one, that the most lucrative and high growth part of the cannabis business may not be growing pot. Lustig's strategy is to invest in companies in Canada and the U.S., many much smaller than his own firm, that are finding ways to ingest pot without smoking, such as by absorbing it under the tongue or through the skin with a dermal patch. Some companies are researching even more sophisticated uses. At Toronto-based Bodhi Research, for example, scientists study ways to use cannabis products to treat concussions. Resolve Digital uses a high-tech device to measure and record exact aspirated doses of cannabis oil as medication. Another Canadian firm, Anandia in B.C., is studying plant genetics, extraction of active ingredients and quality testing techniques. "I believe the cannabis sector will be bigger than both the tobacco sector and the spirits sector," says Lustig. While marijuana may also be a recreational drug, he says, it has the added capacity to be an important part of the pharmaceutical industry, especially as the plant loses its image as a street drug. "It was illegal. No one could do any medical research on it ... but it's not as bad for me as opiates," says Lustig. At a time when people are dying from opiate overdoses, that is a message that resonates. Original research takes time. The Canadian marijuana industry is still in its infancy, and as The Dragon shows, smoking has not gone away. But in its growing complexity, the potential of cannabis is about a lot more than smoke.